8-bit video games and Legos remind me of my childhood. This mini project was an experiment in making molds for concrete inspired by 8-bit graphics. 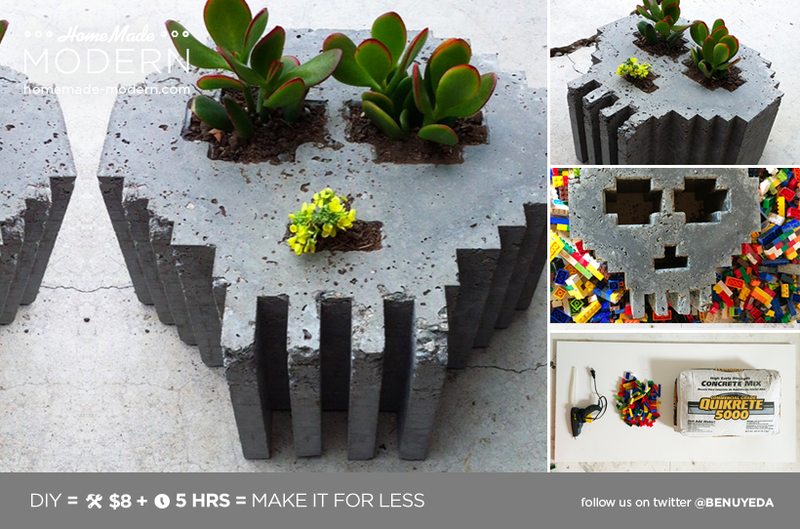 Lego bricks make fantastic molds for concrete. I was skeptical about how well this idea would work, but everything went smoothly and Lego-formed concrete is my new obsession.